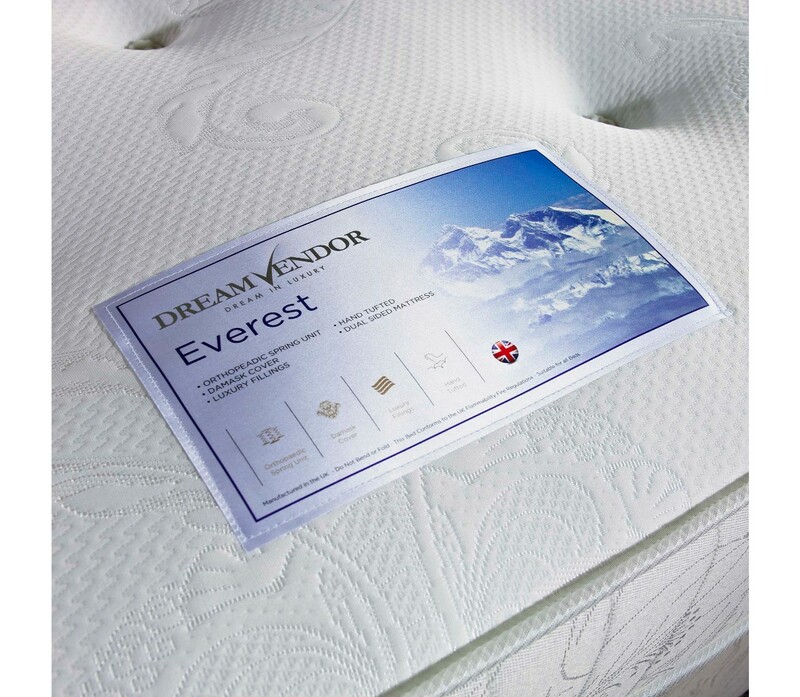 A pocket spring unit and a memory foam layer makes for an ideal mattress choice if you’re looking for both support and comfort. 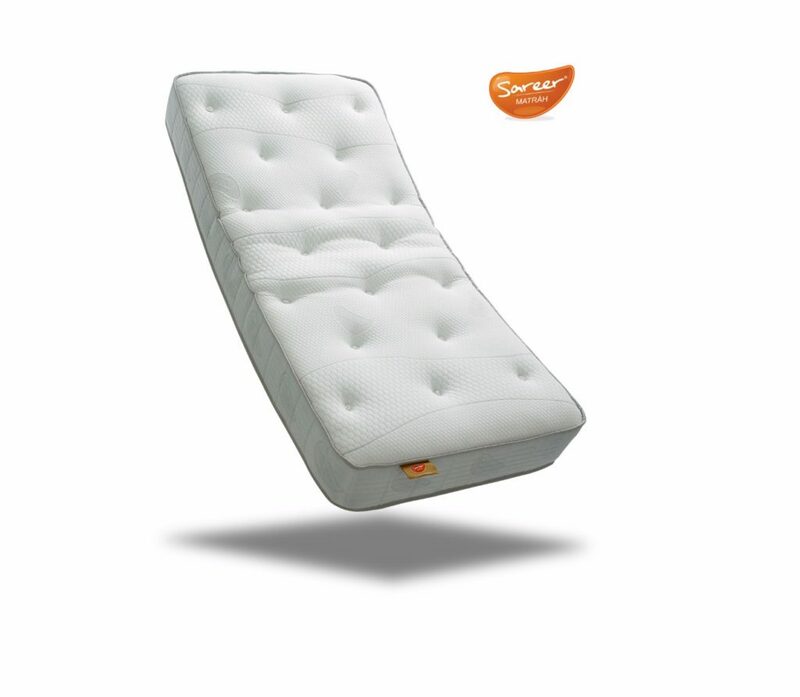 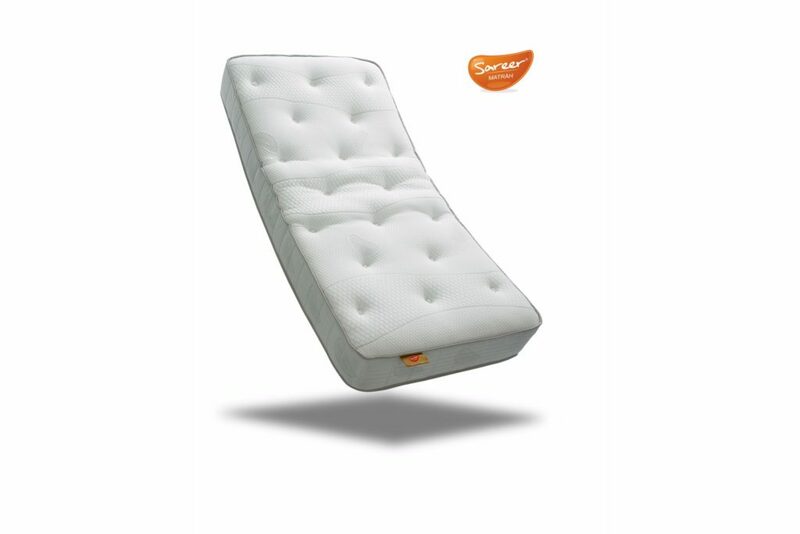 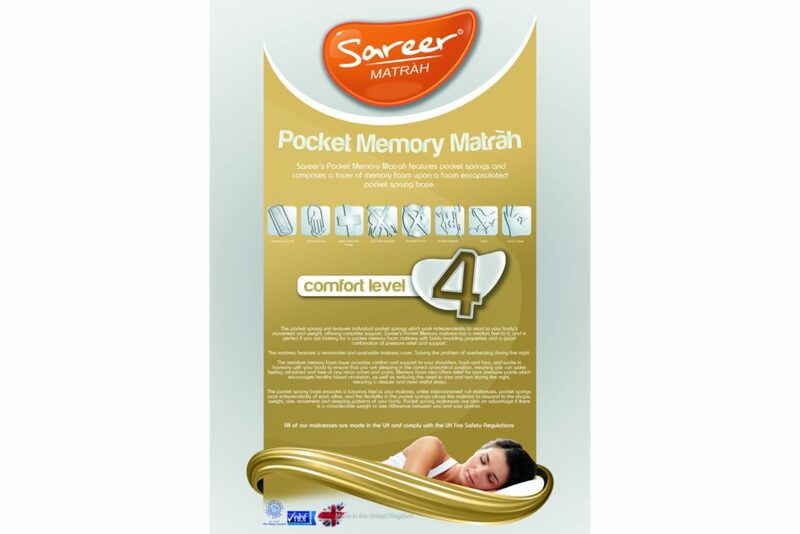 The Sareer Matrah Pocket Memory Mattress uses a pocket spring unit to offer a consistent sleeping surface via up to 1500 individually pocketed springs that work independently from each other in accordance to your body shape and movement. 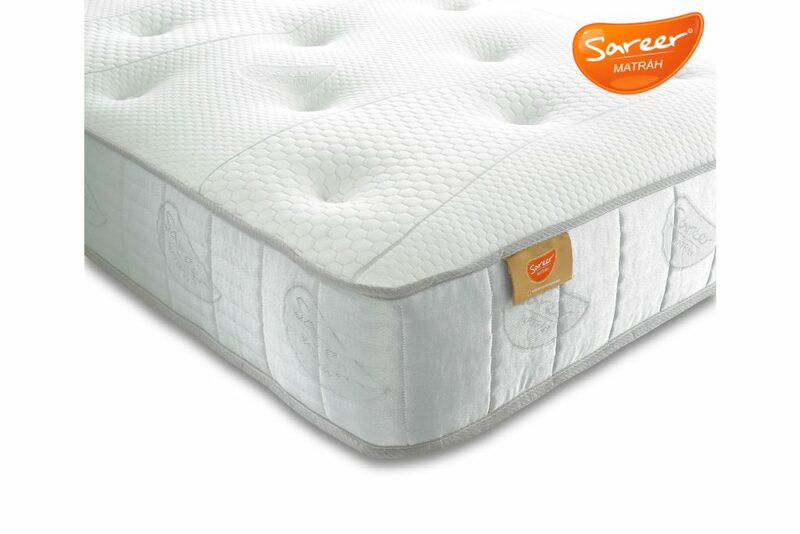 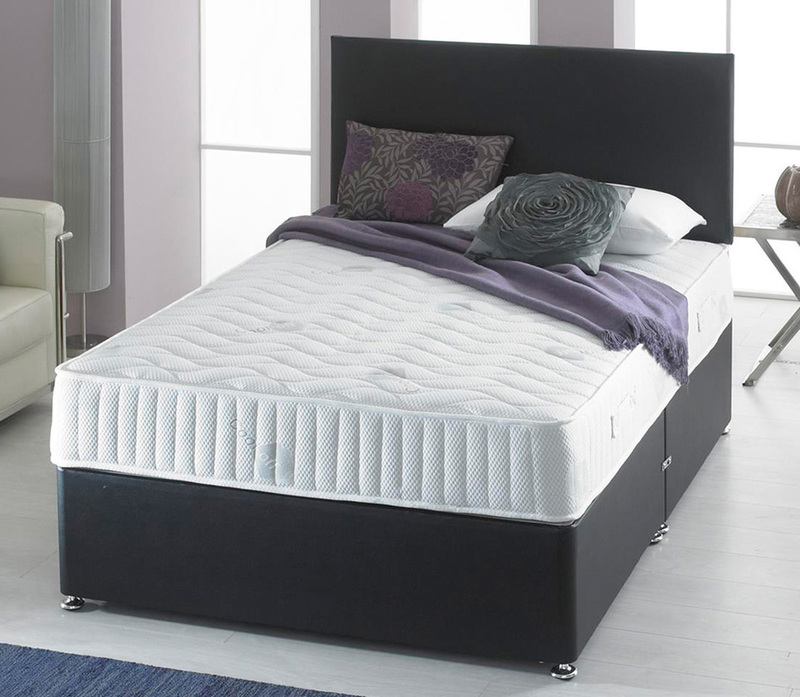 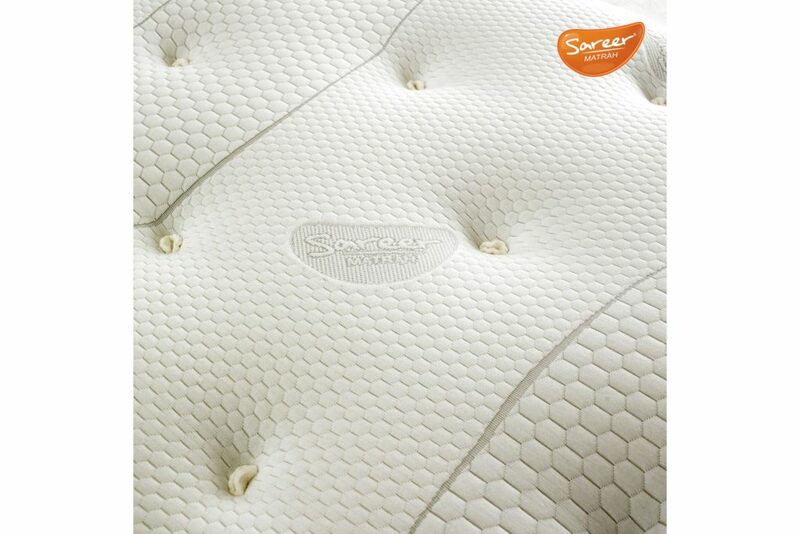 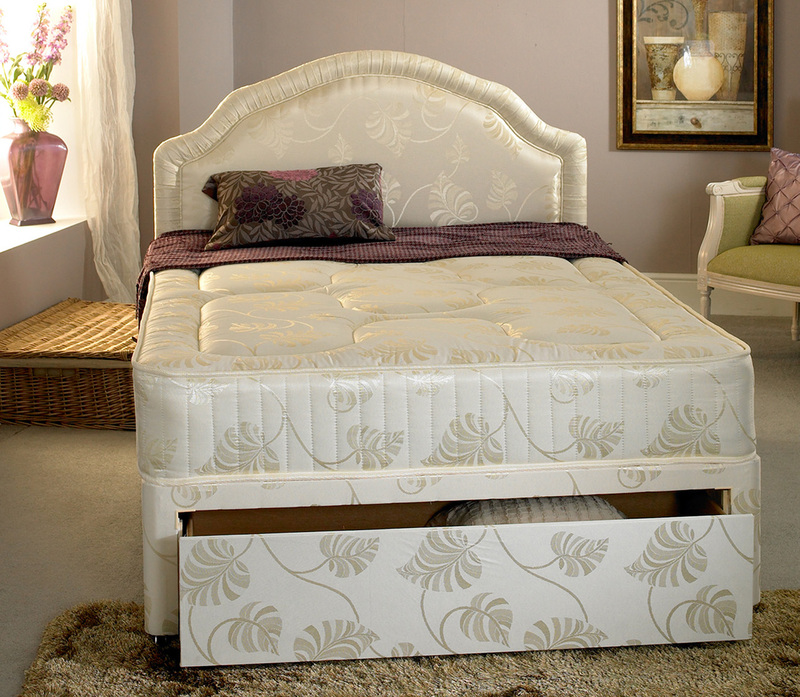 The memory foam layer adds an element of comfort to the mattress. 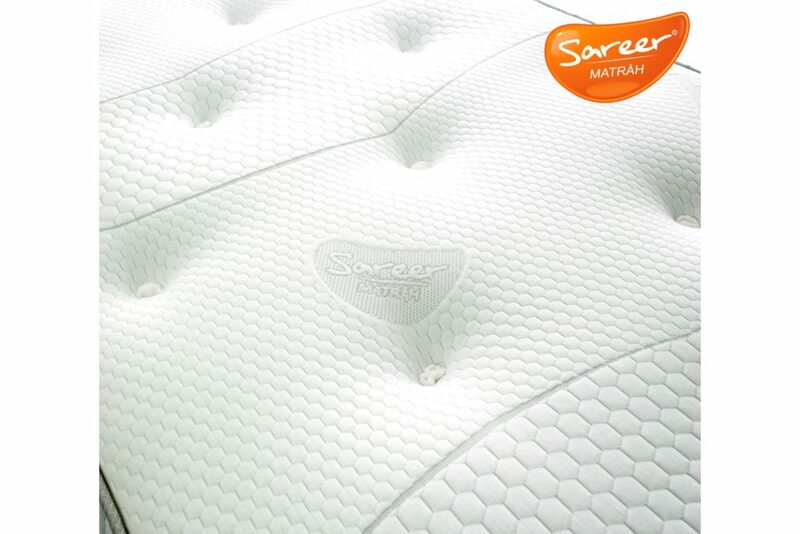 This layer allows for pressure points between your body and the mattress surface to be alleviated and for blood circulation to improve. 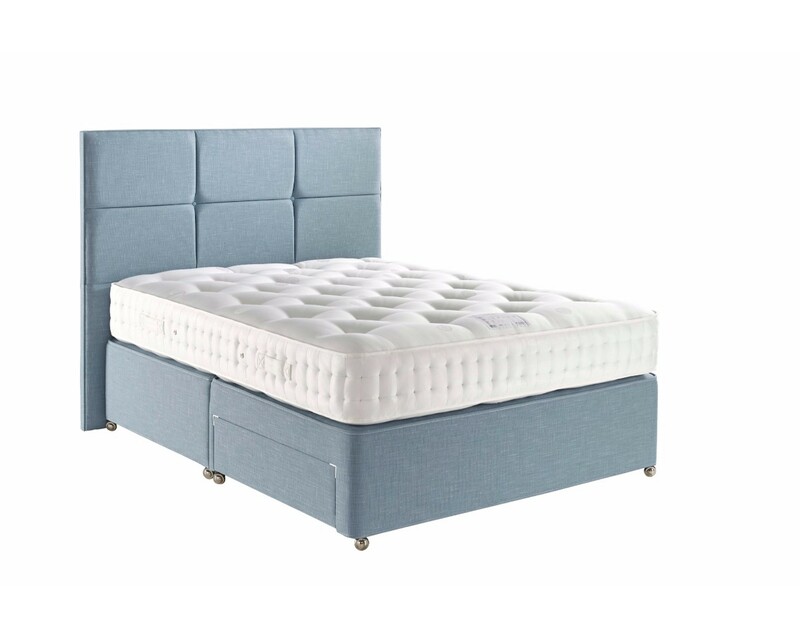 Overall, you’re provided with a deeper and better quality sleep as the chances of waking up during the night are severely reduced.